Second International Location Now Open in Providence, RI! Welcome to Tom’s BaoBao, where the art of traditional bao-making is on display. Founder and CEO Tom Tong has a passion for the highest quality bao, using only the best ingredients and expert technique, and in doing so requires a meticulous process. Tom’s quest to deliver the perfect, most authentic bao to the United States began at his first international location in Cambridge’s bustling Harvard Square and continues in Providence, Rhode Island! Bao (also called baozi, baobao, or steamed buns) is a delicious street food that first appeared over 1,200 years ago in China. This leavened dough can be filled with anything from pork to curry beef to spicy lotus root – the possibilities are endless! Bao grows during the steaming process into a large, fluffy bun that perfectly encapsulates its flavorful filling. In modern China, the vast majority of bao is frozen, mass produced by machines, and sold past its prime. 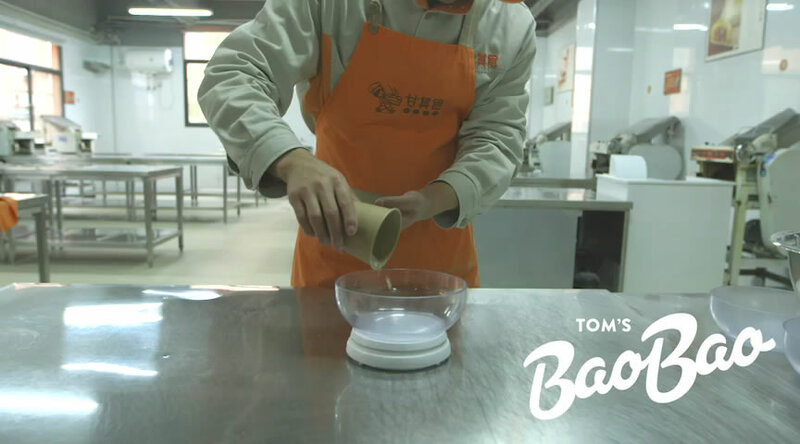 Tom’s BaoBao prides itself in preparing each and every bao by hand, in front of customers and serving them fresh out of the bamboo steamers. If it isn’t fresh, it isn’t bao! Tom’s BaoBao is dedicated to serving authentic, fresh bao with the finest local ingredients. Each and every employee undergoes rigorous training until they have mastered the art of steaming and folding the delicate bread and preparing the filling. By combining historical Chinese recipes with excellent ingredients and the very best in local talent, Tom’s BaoBao provides a unique experience and top-notch flavor. © 2019 Tom's BaoBao. All rights reserved.